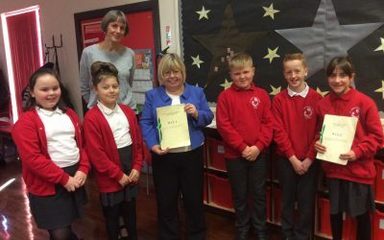 Our school has signed up to work with Unicef UK to become a Rights Respecting School. Unicef is the world’s leading organisation working to ensure that children across the world access and enjoy their full range of human rights as set out in the 1989 UN Convention on the Rights of the Child. 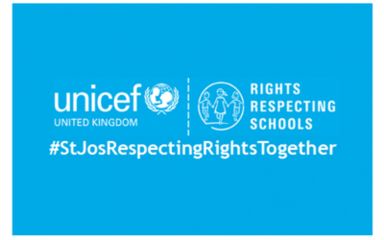 In the UK, Unicef is working with nearly 4,500 schools through the Rights Respecting Schools programme. We are joining a significant and growing movement for change in the way children experience their school and their childhood. The award is based on principles of equality, dignity, respect, non-discrimination and participation. The programme started in a pilot phase in 2006. 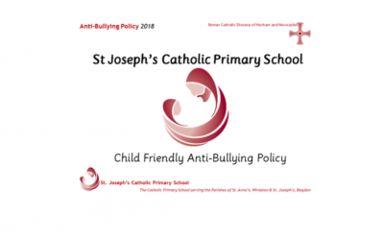 Schools involved in the Award have reported a positive impact on relationships and well-being, leading to better learning and relationships, improved academic achievement and a reduction in bullying. It complements and adds to other school improvement strategies and interventions. 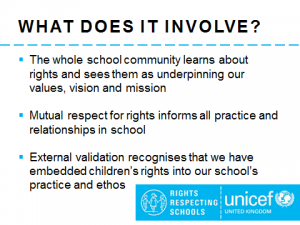 As the school community – adults and children learn about rights they also explore why it is so important to respect and value your rights and, equally, the rights of those around you. 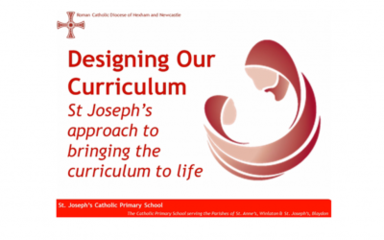 We will explore together as a school how the rights of the child relate to and support our aims and values as a community – and how they underpin our practice. 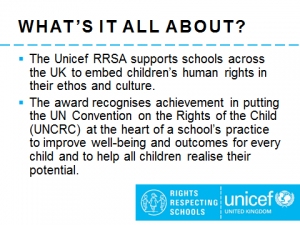 As a school community, we are hoping that there will be wide engagement in our rights-respecting journey with Unicef UK. A good start to raising awareness this week. 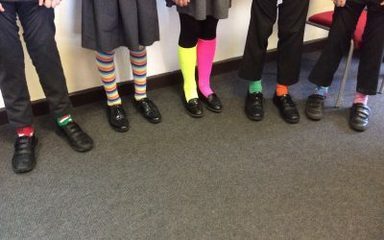 The children came into school wearing odd socks and brightly-coloured tights today to represent the differences between us all. All classes listened to an anti-bullying presentation delivered by our STOP Stars. 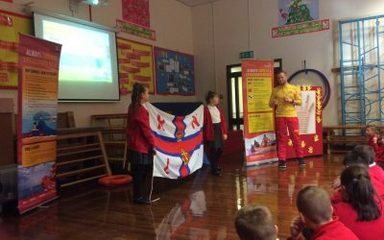 Lifeguards from the RNLI came into school today to speak to our children in assemblies and teach them about water safety. A lot learnt by all. 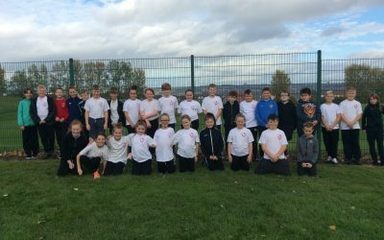 Fantastic afternoon for year 6 at the Gateshead School Sports Partnership Tag Rugby Tournament. They all played well together and had a great time too. One of our teams was successful at getting through to the finals in November. Well done everyone! 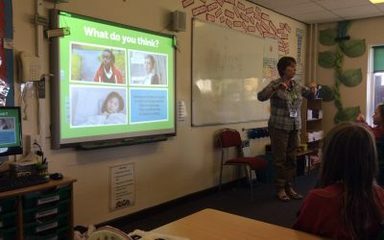 The children in Years 5 & 6 enjoyed their talks from the NSPCC about 'Staying Safe' and 'Speaking Up'. What are the ABCDE of Rights? This short animation will tell you all you need to know! ABCDE of Rights from HT@Josephs on Vimeo.